Designing, constructing and installing powder coating lines. Constructing customized equipment and process lines for powder coating. Supplying powder coating ilne realted systems, incuding wastewater treatment systems, water demineralization stations, line control systems, sanitary, compressed air and ventilation systems. Constructing and supplying coating process heat recovery systems. 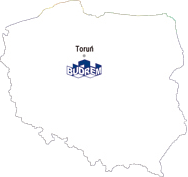 List of major customers of BUDREM.